Remember when you were a kid and you really wanted nothing more than to go out and play, but your parents said you couldn’t until you cleaned your room? Did you try to get by with just shoving everything in the closet? That worked right up until the door was opened and everything tumbled out, revealing the sloppiness of your effort. Now replace the child with a federal agency, and replace parental orders with congressional mandates. That’s what’s happening at the CPSC. Like a child who “cleans” his room by stuffing everything into the closet, the CPSC rushed through a congressionally-mandated small-batch–manufacturers registry sloppily and at the last minute. As a result the agency may be failing to protect the very people the registry was supposed to protect. Last week, we finally issued a press release to let small batch manufacturers (SBMs) of children’s products know how they can take advantage of the testing relief Congress provided SBMs last August. Left unclear was whether an SBM had to be on the registry not to be required to perform certain tests that are mandated to begin in January 2012. There is no new rule, and there was no Commission action. We shoved everything into a press release and called it a day. And to make matters worse, we issued our press release on December 23, during the holidays and just days before the new testing requirement kicks in. Our insincerity is obvious. Another policy question not discussed by the Commission was this: Should the registry be public? There are reasonable arguments that it should be. However, there are also reasons why it should not be public since, by publishing the registry, we are implicitly releasing confidential information. (To register, a company has to be below certain revenue and product-quantity thresholds. Commissioner Northup has detailed the problems with publicizing this information, and I won’t belabor them here.) My key concern is there was no Commission-level discussion of this important policy issue. Instead of working to find a compromise or a solution that would accommodate both points of view—something that could have been accomplished—the concerns of half of the Commission were ignored. The Chairman decided to call the process of establishing the SBM Registry and the attendant issues surrounding it “operational” rather than policy in order to act unilaterally through staff, instead of through a Commission vote. They have told companies to use the complicated Freedom of Information Act (FOIA) exemption process if they want to keep the CPSC from telling their financial particulars to the whole world. That process requires time and legal expertise, and I believe our retreat to FOIA is contrary to the spirit of the law. Congress wanted to relieve the product-testing burden for companies least able to bear it and to protect America’s vital small business job-creation engine. Do we really think Congress meant for these businesses to save money on testing just to spend it on lawyers? All these points could and should have been part of a Commission discussion, so people understand the reasoning behind these important decisions. Will there occasionally be some substantial, fundamental disagreements about the best course of action? Of course there will be, but we owe to each other and the public to work to make those as infrequent as possible and to resolve them as best we can when they occur. I know we can do better, and I hope we will, but I’ll need some help from my Democratic colleagues to build a bridge. •	The textile and apparel industry is very important to the economies of India and Bangladesh. Most of the apparel Americans wear is imported and more and more of of that clothing comes from these two countries. 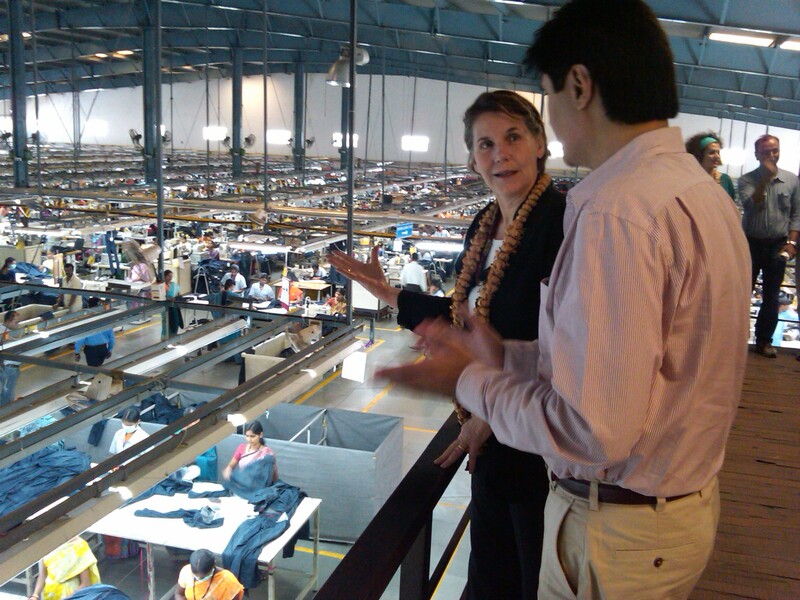 In fact, Bangladesh is America’s fourth largest supplier of apparel, and India follows right after. •	My message of pushing safety up the supply chain has been well received in both countries. The Bangladesh conference where I spoke had more than 350 attendees, with many turned away because it was oversubscribed. The demand for the information we were giving was so great that the industry is already talking about another safety conference within the year. The turnout here in Bangalore was very large as well. •	Garment manufacturers, suppliers, and lab experts repeatedly expressed their appreciation that a senior government official would come this distance to discuss and explain the new and complex U.S. consumer laws. The level of official U.S. government engagement in this dialogue drove home the importance of product safety to this audience. Clearly, both the message and the messenger are important. I was impressed by the eagerness of attendees to learn the rules and get it right. This translates into greater safety for American consumers.